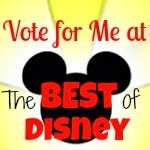 Do you love Disney pins? We do! We are not big pin traders, but this is our "go to" souvenir whenever we visit a Disney park. We have our rules to keep us in check: we always get a dated park pin, a hotel pin (if we are staying on site), and, of course, we get pins from each and every runDisney event. 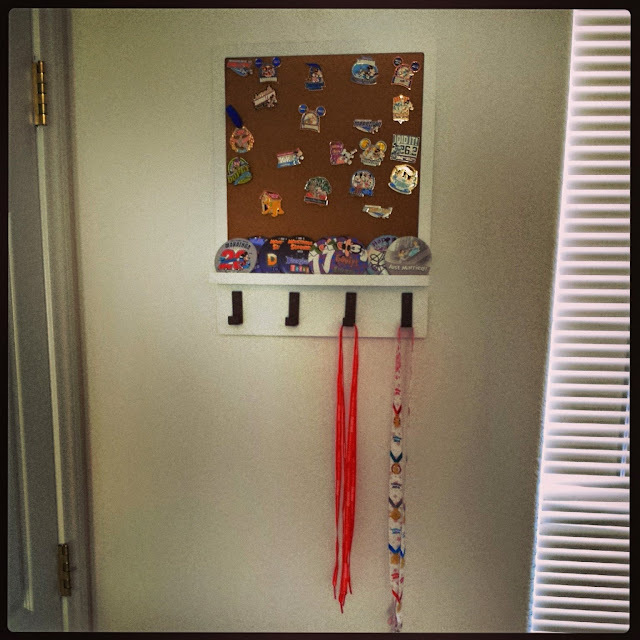 A few years back, I found a cork board picture frame in a bargain bin at Target. It's worked really well to display our pins, but recently it's been looking a little crowded. 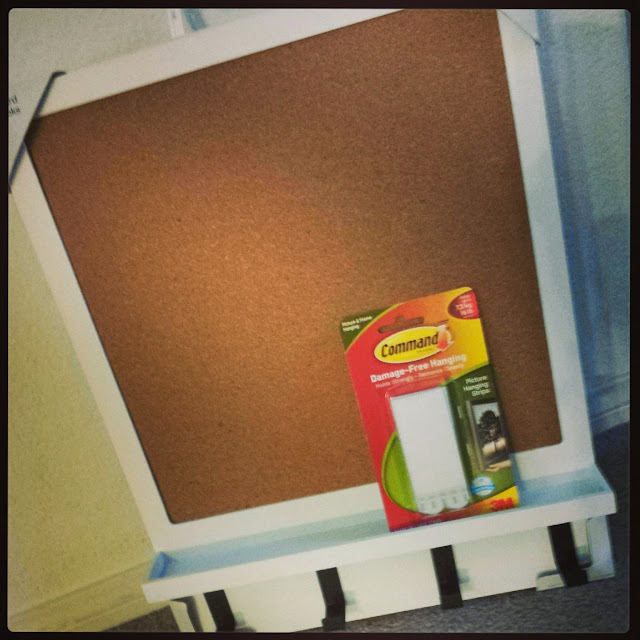 This past weekend as we were strolling through Target (yes, again) and found a great cork board in the dorm room section. 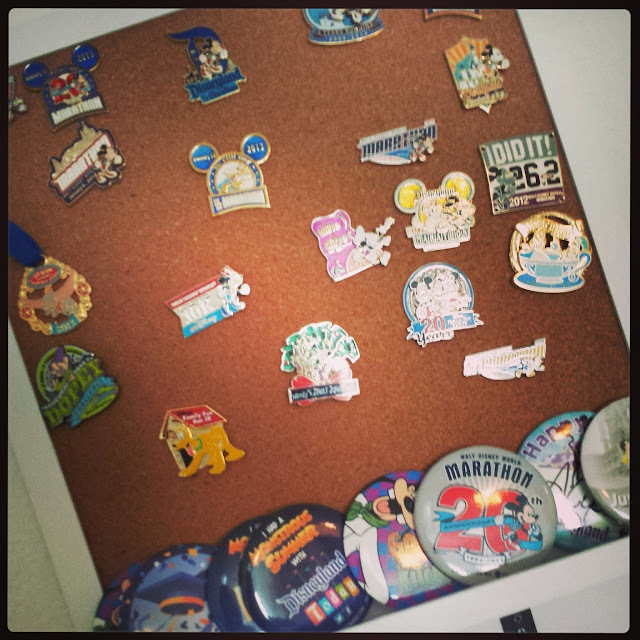 Knowing we are outgrowing our current display and we have many upcoming Disney vacations and runDisney events, this seemed like the perfect time for a little pin project! 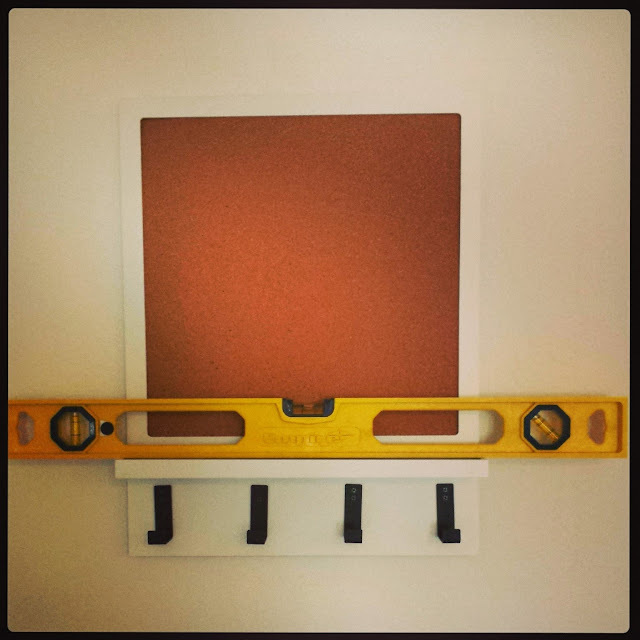 Since we are renting our current house, we also decided to use Command Hooks to prevent us from having to drill into the wall. Those little strips are awesome! It took me about 10 minutes to get the strips on the board and to get the board hung. I made sure to use a level and to really press/hold those strips in place for 30 seconds. The instructions also recommend letting the frame "set" for an hour before use. I'm not entirely sure what will hang on the hooks, but 4 Command strips holds up to 16lbs, so I wanted to be sure it was nice and secure. After an hour, I was ready to get the board set up. Time to make some decisions. 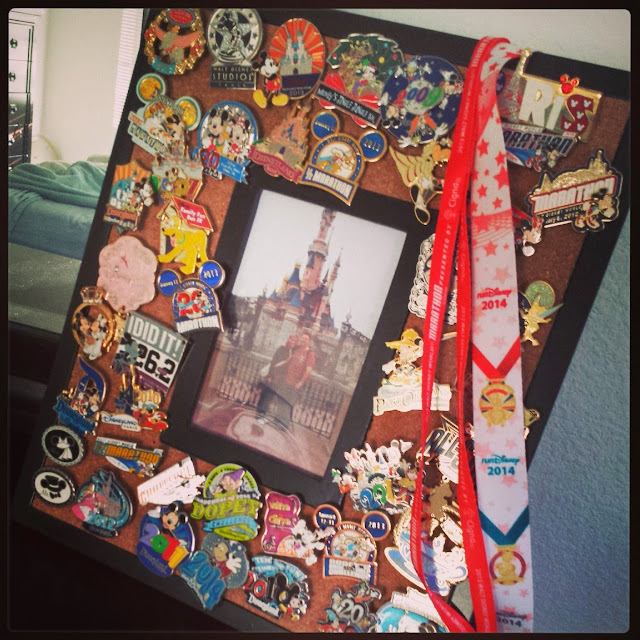 Since this new board lives in the same room as our medal display, I decided to dedicate this board to runDisney and leave our other Disney pins on the frame in our bedroom. This freed up PLENTY of room for more races and more Disney vacations! The shelf at the bottom provided the perfect place to display all those buttons we've collected over the years, including the 20th anniversary marathon button. On the hooks, I have my 20th anniversary shoelaces along with the lanyard I bought during the Dopey Challenge weekend. I will likely find more items to hang, but for now, they may end up empty. There you have it! My little project that is making me smile :) I can't wait to get my pins home in September to add to my new display. Do you collect pins? Do you display them or wear them to the parks? Any other display ideas?